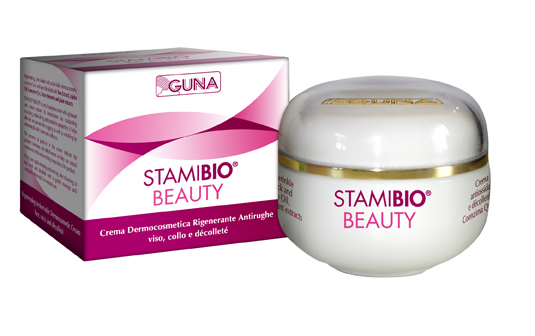 Stamibio Beauty Cream | GUNA INC.
Stamibio Beauty is a regenerating cosmetic dermaceutical cream for the face and neck with Roe extract, Jojoba Oil, Coenzyme Q10, Oligo-elements and Plant Extracts formulated with the most advanced Italian cosmetic methodology. It has a specific and complete composition with distinct nourishing, protective and revitalizing properties that gently penetrate and restore the skin. Stamibio Beauty is quickly absorbed. It protects and helps restore tone and radiance to the skin of the face and neck.